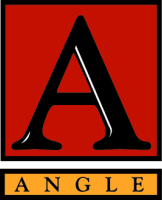 Angle Associate's bi-monthly newsletter brings you insights for properties in Maine from a broker with 33 years experience and happy, satisfied clients. Either one of my own listings or someone else's that I think are terrific buys in today's market. I can show all of them so give me a call or send me an email with "Best Buy" in the memo. Beth's pick for instant equity, a property that is worth more than you pay for it the instant you close. Beth picks a property that needs renovation but has great potential for equity or profitable re-sale. Beth picks an area that is becoming more desirable. It will have buyer appeal either for its great location, pleasant quality of life or as an area that should be on the radar for developers. Give Angle Associates a call, or email. We are happy to discuss your real estate needs!